Spring Soccer is underway here at the Family YMCA of Fayette County! Below are all the coaches for our soccer leagues and their shirt colors. If you click on their name it will pop up their schedule. Feel free to print off your team's schedules! The 2nd-4th grade & 5th-8th grade league will play a single elimination tournament after their regular season is over. We will put the dates for the tournament here on our website as soon as we get them ready! 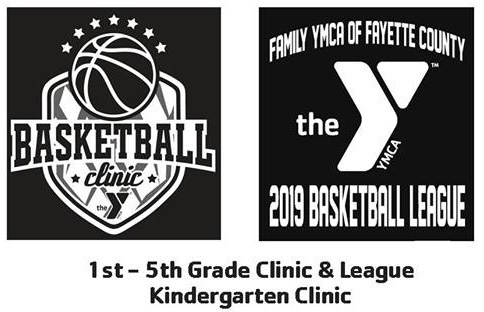 Basketball League registration & Kindergarten Clinic deadline is Sunday, December 16th! There is a 1st-2nd grade league and a 3rd-5th grade league. Prices for league are $35 for members and $70 for potential members. Prices for Kindergarten Clinic are $30 for members and $60 for potential members. If you have any interest in coaching basketball or volunteering for clinic please contact our Sports Coordinator, Matthew Beck at the Y! Come get signed up before the deadline!